Get used to this, you’ll be seeing loads of ’em soon! 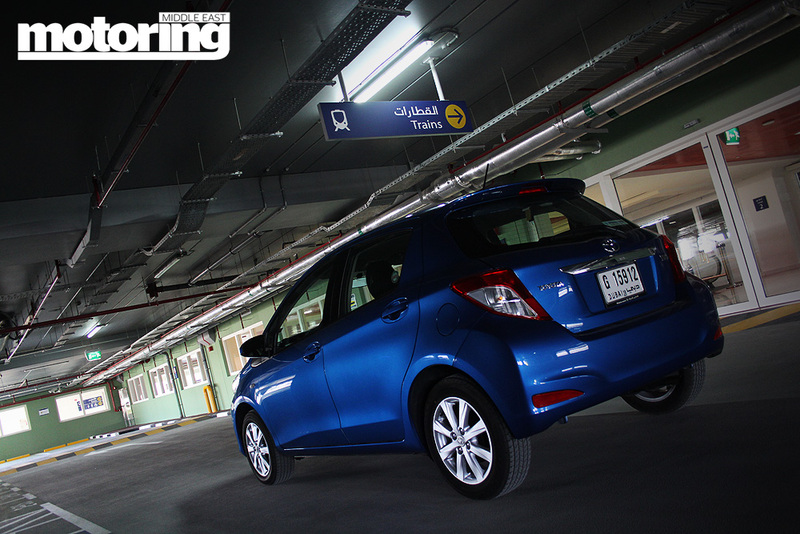 Everything you need to know about one of the most important new small cars on sale in the region, plus our initial driving impressions. 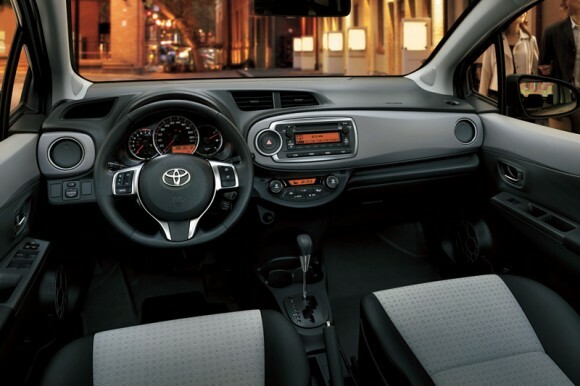 Toyota has introduced an all-new edition of the hugely popular small car – the Yaris. The restyle is very successful in the sense that this is clearly a fresh new city runabout, but still very much identifiable as a Yaris, despite all the panels and even the ‘face’ being completely different. It won’t win any art awards and you won’t lust after it, but it’s a good looking little car. It’s longer by 100mm at 3885mm (the wheelbase has also been extended by 50mm), but lower by 15mm. 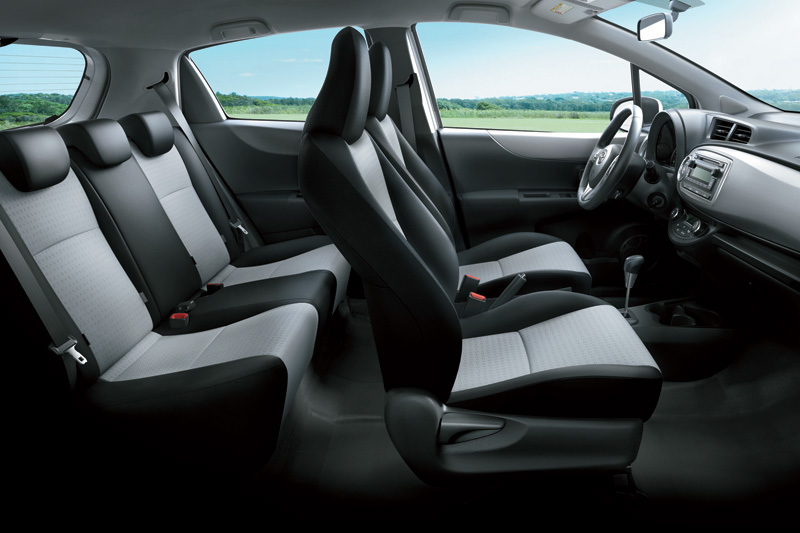 Interior space is as before, although rear legroom has been improved due to slimmer front seats and, perhaps more significantly, the luggage space has been increased to 286L from 274L. There’s also a tilt and telescopically adjustable steering wheel column, with a thicker rim and a flat bottom. The instrument cluster has now been moved to the traditional position in front of the driver rather than its central location. There’s extra sound-absorption material and the trim and materials used inside are upgraded. The Yaris only comes as a 5-door hatchback this time (no saloon) and is fitted with a 1.3-litre four-cylinder engine producing 84bhp driving the front wheels through a four-speed automatic. The front MacPherson strut and rear torsion-bean suspension have all been tightened up for stiffer body roll and of course there is speed-sensitive power steering. The base car is priced at AED 51,000 ($13,859) and for that you get a CD/radio with six speakers, Bluetooth connection with AUX and USB jacks, plus phone and stereo controls on the steering wheel. There’s ABS with brake assist, front airbags, power steering and power windows, keyless entry, split folding rear seats, body-coloured bumpers and door handles, electric door mirrors and a 14-inch steel wheel. Go for the full option model, paying AED 56,000 ($15,220), and you get all of the above plus leather-trimmed steering wheel, 15-inch alloy wheels, front fog lamps and a rear spoiler. 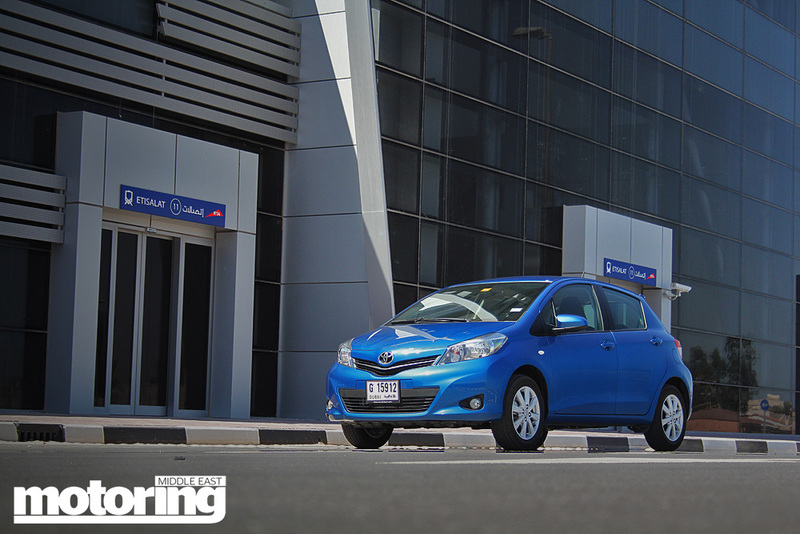 Frankly you might as well save the AED 5000 and buy the base model. We drove the car briefly at the launch and I can report that it feels peppy enough for around town motoring, the ride is remarkably good, and interior space and comfort is improved, as well as having a more stylish dashboard and slightly better tactile materials. On the go, it’s handy and agile steer, prone to typical front-drive understeer, but happy to lift-off correct in a corner. 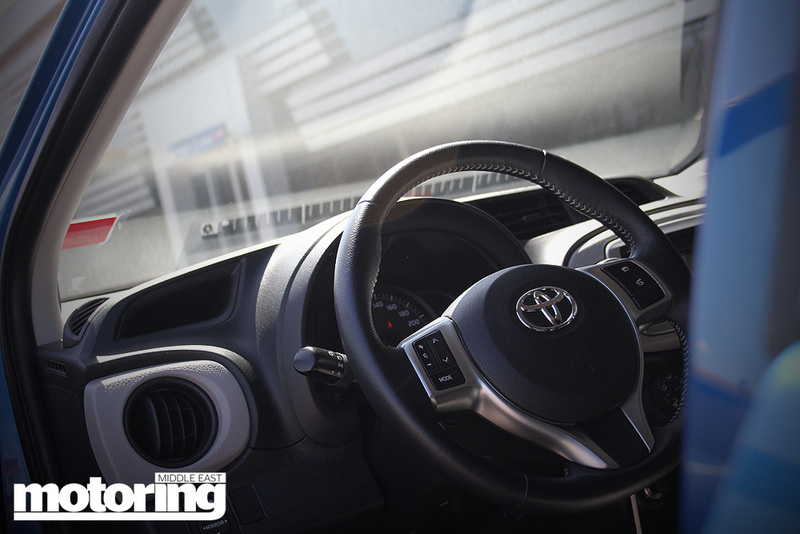 There’s nothing to be gained from trying to shift the auto manually, and steering is about as sharp as you’d expect for something that is not exactly meant to be sporty. More significantly the air-conditioning was extremely good and the sound system was actually pretty sensational for this price level, featuring not only great sound through those six speakers, but easy Bluetooth connectivity that was quick and easy to employ, but allowed you not only to speak on your phone hands free, but also play the tunes directly off your smart phone wirelessly. It feels solid and you know it will be reliable, so Toyota frankly have another clear sales winner on its hands.